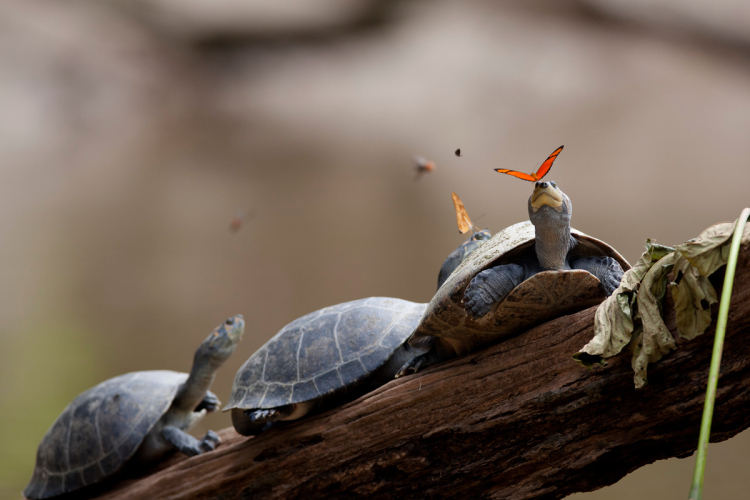 Here is a picture of Julia Butterflies (Dryas iulia) drinking the tears of turtles in Ecuador. 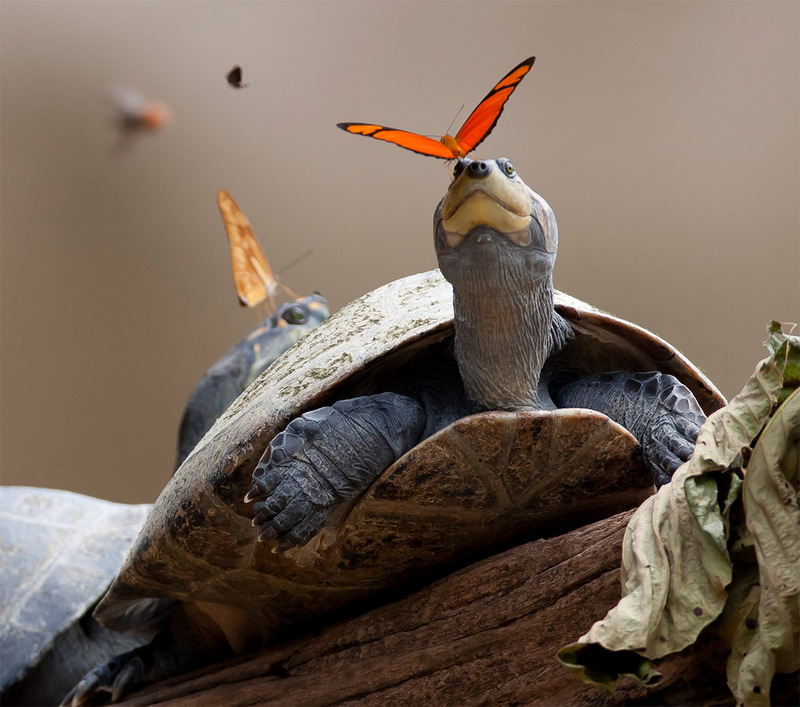 “The turtles placidly permit the butterflies to sip from their eyes as they bask on a log. This ‘tear-feeding’ is a phenomenon known as lachryphagy which is a type of mud-puddling.” Which leads us to the next question: What’s “mud puddling”? I have another question: why is the turtle crying? OK. I’m glad he didn’t just get left by his wife or something. I have no idea why I just assumed the turtle is a boy. This photo was recently named Wikimedia Commons 2014 Picture of the Year.